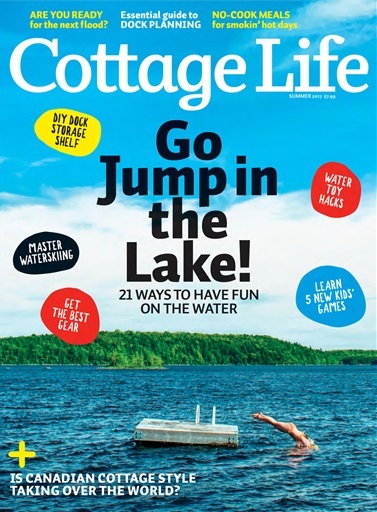 Cottage Life’s Summer issue gets you ready to Jump in the Lake! We’ve got 21 ways for you to have fun on the water, featuring new gear, games, and expert tips for young and old, plus meet some cottagers who take their waterskiing to the next level—pyramids included! We also talked to the experts about how to choose the right dock for your cottage, and we found out what you can learn from this year’s floods (and how to protect your cabin for next time). Up your workshop game with easy, genius putterer’s hacks, and make a secret outdoor storage project. And, when the days get smokin’ hot, use our no-cook recipes to keep your cool. This issue has everything you need for a refreshing, inspired summer at the lake. 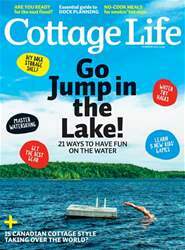 Below is a selection of articles in Cottage Life Summer 2017.